TPRS–Total Proficiency Through Reading & Storytelling | Teachers Act Up! 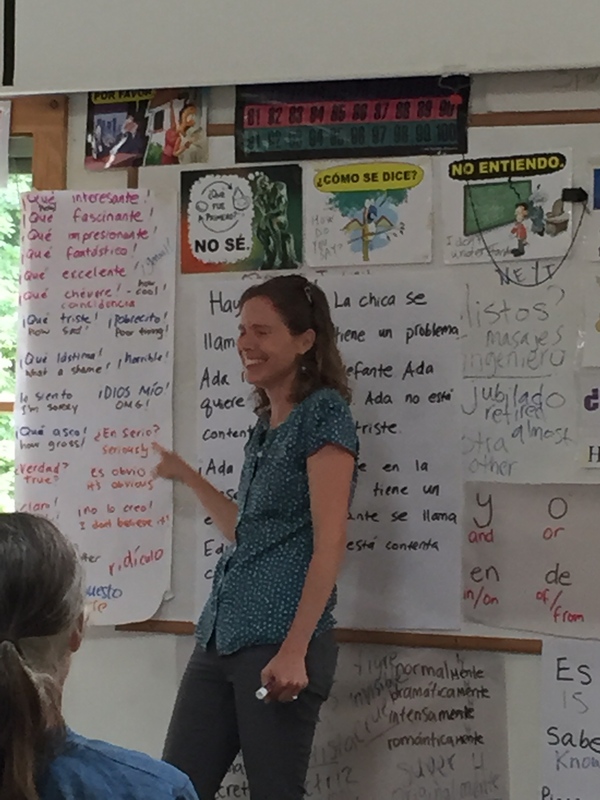 I am sitting in the class watching the most marvelous beginner Spanish instruction–not in a University, not abroad in an immersion setting, but on a mountaintop in Brattleboro, Vermont. After one day of instruction, the students read and comprehend a minimum of 130 written words, and comprehend twice that orally. They are laughing and telling stories about Hilary Clinton who can’t cook, about Eduardo the elephant, “Zanahoria (carrot),” an invisible tiger and their male classmate who claims to be a princess. 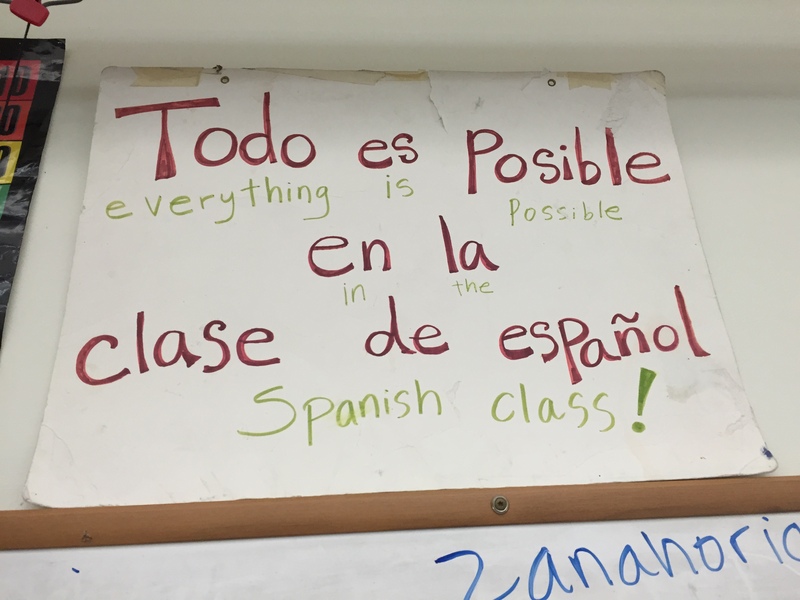 The mantra in this class is “Todo es posible en la clase de español.” And it’s true! Everything seems possible here–the teacher illustrates absolute gifts in presence and improvisation. At the same time she controls a range of vocabulary that is limited but expansive enough to express a great range of actions and states of being. I am in AWE. 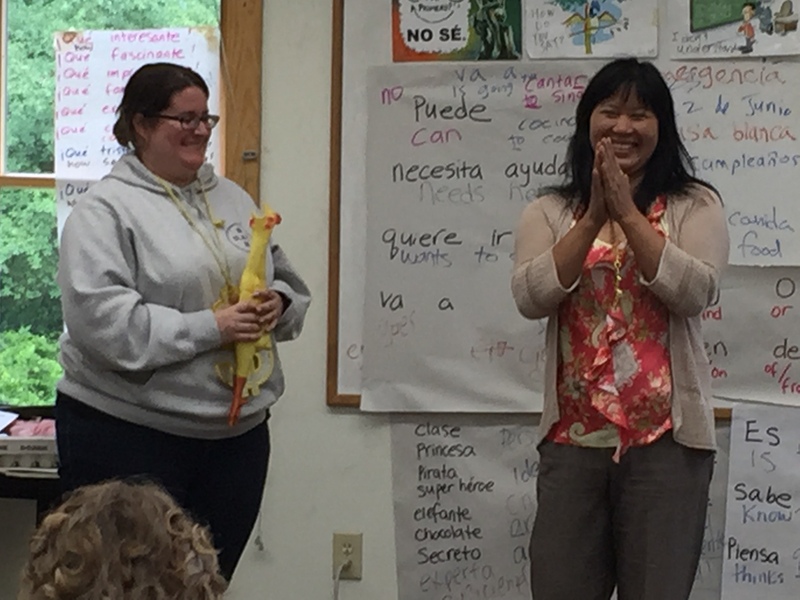 If you don’t speak Spanish and want to get started in a deep and meaningful way–get thee to Vermont! Here is a link to her class website. I can’t wait to write more about how this class works, why, and why more language teachers and teacher educators should be trained in this method. Bravo and gratitude to TPRS practitioners. May us “old folks” trained in traditional language teaching methods focus our attention on this method and continue to spice it up with culture and long-lasting communicative abilities. I am actively seeking anything that has been written about TPRS in terms of research and theory in addition to what Stephen Krashen has written–my project is to comb through journals listed in the link below–students this is a great compilation of literature in our field.